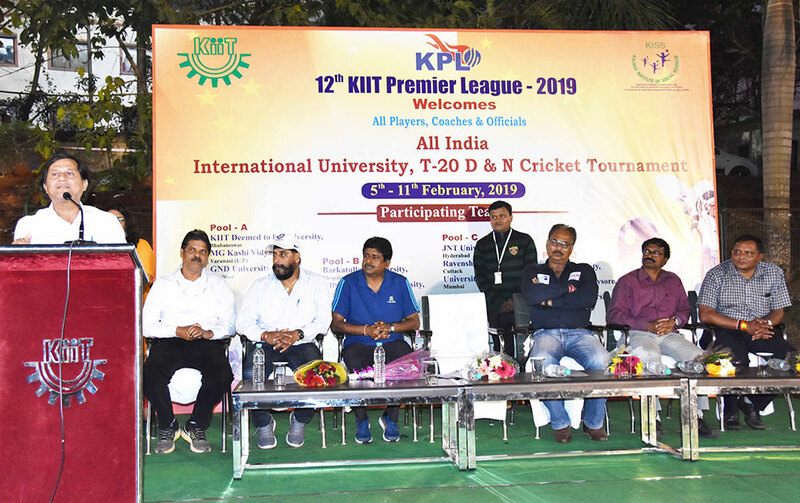 The 12th edition of KIIT Premier League (KPL) All India (D&N) T-20 Cricket Tournament organized by KIIT Deemed University Kicks Off at KIIT Cricket Stadium on Tuesday. 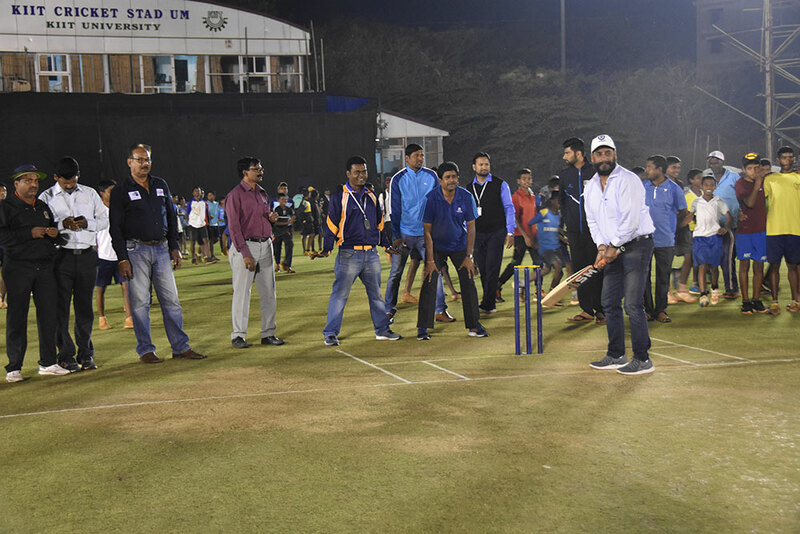 The tournament was inaugurated by Dr. Achyuta Samanta, Founder, KIIT & KISS in presence of BCCI Selectors Banta Singh, M. S. Kumar, Jaikumar Sinha, Abinash Kumar and Lalit Patel. In his welcome address Dr. Gaganendu Dash, Director, Sports, KIIT Deemed University highlighted the international standard sports infrastructure of KIIT & KISS. All matches of the Seven days tournament (from 5 to 11th February, 2019) will be played as per T-20 Format on turf wicket on league basis in floodlight. The inaugural ceremony was followed by the first match between the organizer KIIT Deemed to be University and MG Kashi Vidyapith, Varanasi (U.P). Divided into four pools, teams from 12 Universities from all parts of India are participating. Total prize money of the tournament is 10 lakh. The Winner will bag trophy and a cash prize of Rs. 2 lakh, while runner’s up will get Rs. 1 lakh. Besides, there are plenty of individual cash prizes to be awarded on the final day. It is worth mentioning that, this edition of KPL has the distinction of being the highest prize money tournament in the history of university sports in India.